In 1855, when the French arrived to colonize Senegal, the first power of resistance they encountered was a woman. Her name was: Ndate Yalla Mbodj. While in France, women were not recognized as citizens until 90 years later, the French were stunned by this woman of beautiful stature, face, and strong body, and who headed an immense army. She was a beautiful and proud warrior, who inherited a rich tradition of bravery and gallantry. 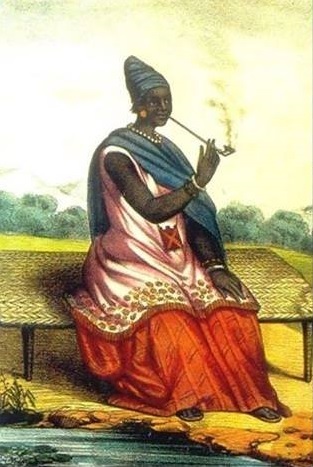 The Lingeer or Queen Ndate Yalla Mbodj (1810 – 1860) was the last great queen of the Waalo, a kingdom in the northwest of modern-day Senegal. 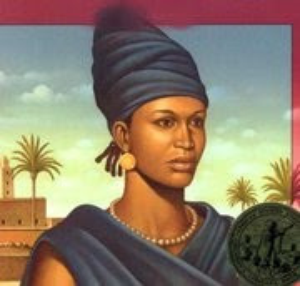 She was a heroine of the resistance against French colonization and Moors invasion. She was also the mother of Sidya Leon Diop or Sidya Ndate Yalla Diop, who went on to become one the greatest resistants to the colonization of Senegal. She eventually lost the battle, but not the war; which continued to be a war of resistance until the early part of the twentieth century by Lat Dior Diop, and many other ‘Gelewars’. 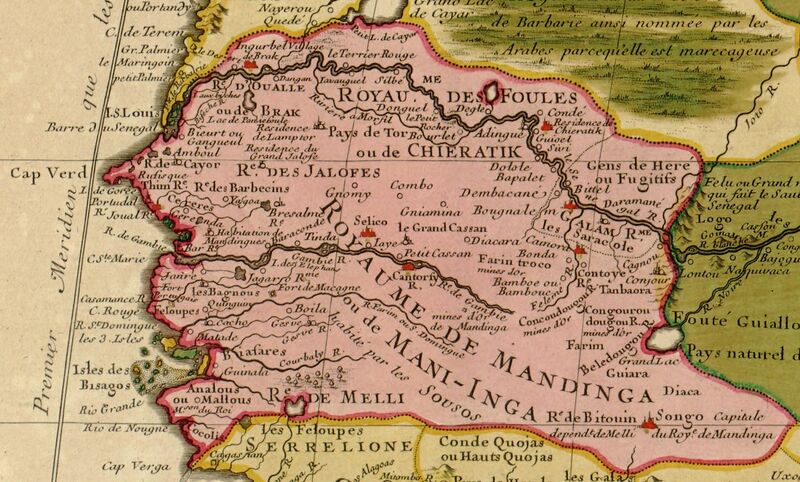 This conquest would forever change the trajectory of her reign and the geopolitical, military, and geographical road map of Senegambia, “Ganaar” (now called Mauritania), Mali (formerly called French Sudan), and Fouta. Her father was Brak (King) Amar Fatim Borso Mbodj, and mother was Lingeer (Queen) Awo Fatim Yamar Khuri Yaye Mboge. Her son, Sidya Leon Diop, who would later too become an anti colonialist, and fight the French until his capture, and exile to die in Gabon in 1878. Her son Sidya was captured as a hostage in Saint-Louis by General Faidherbe during their bloody war with Ndate, and was baptized ‘Leone’ and sent to Algiers for schooling in 1861. 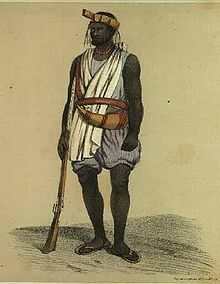 When he returned to Senegal two years later in 1863, he was enlisted in the French colonial army; the first African or Senegalese to hold such a post. But as the saying goes —like mother, like son, he refused to do their dirty job of joining forces with the European colonial foreigners and mercenary apparatus, against his mother’s kingdom and people. He then changed strategy and rallied with Lat Dior Diop and others, which resulted in his betrayal, and capture by the colonial forces; and exile to Gabon (just like Samori Toure). Queen Ndate Yalla Mbodj, as a true ‘lingeer’, developed the women’s army as one of the most formidable forces to recon with in her reign. 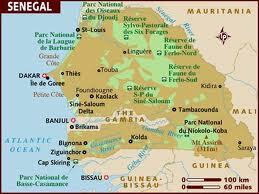 The story of this Senegambia Queen is best amplified in oral tradition by the local griots. Her women army was similar to the “Amazon” women army of Benin, Behanzin’s fearless protective women’s army. She later went into exile in Ndimb in the northern part of the Waalo and died in Dagana, where today a statue has been erected in her honor (the only one erected in honor of a queen nationwide). To learn more, check out: Maafanta.com, Matricien.org, au-Senegal.com; the book Kings and Queens of West Africa by Sylviane Diouf has an entire chapter dedicated to this great queen. What a truly fascinating piece of history, Dr Y. Thank you. Thanks Tish. It was quite fascinating to learn about her. Thanks for linking to the blog, and for visiting. Thanks for reblogging. I truly appreciate it.